I mean, the thing was originally developed as a way to manage “stubborn and idle” convicts (seriously), not generally a thing I’ll line up for. Your experience with many things in life comes down to how you look at it. The treadmill is no different. Sure you’ll get a physical workout, but there are other very useful skills to be learned, developed, or practiced while running on the treadmill. A big part of training for events like the marathon is mental training. Getting used to running, even when you are bored, tired, and want to quit. When running outside, many runners need to run for miles or hours before they reach the point of really wanting to quit (which is when you really start to develop the skills you need to keep going). But on the treadmill? I’ll be maybe 5 minutes in and I’m already having to focus on my mental state to keep pushing. It’s mental training in a very concentrated form. One of my coaching clients did almost all of her marathon training (including long runs) on the treadmill. Even though it was her first marathon, I’d bet she was mentally tougher than 90% of the other runners on race day because of it. But on the treadmill? It can be a constant struggle to keep going. When on the treadmill, if you move just a few feet to the side, you can stop running. It can take a ton of discipline to not renegotiate with yourself to make the run easier or shorter. That discipline is hard to master, but will benefit you in all areas of your life. Most runners set their running goals based on mileage – setting out to run 3 or 5 miles, for example. When I add fartleks into my run, it’s based on geographic landmarks (for example, I’m going to run fast until I hit that next stoplight or intersection). But on the treadmill, there is no distance. The treadmill will list your miles, but you don’t really go anywhere. There are no geographic landmarks. It’s hard to do hard things when there is no point, no destination, and you are literally running in place. One treadmill goal you could set is to do more speedwork. As much as I hate the treadmill, even I’ll admit it can be much easier to do speedwork when the treadmill, especially if your treadmill is programmable. So much simpler than doing it on your own on the track. Related to setting creative goals for your run is that treadmills can be good practicing in setting smaller goals and checkpoints along the way. When you are running in place, it can be hard to tell you’re actually accomplishing anything. Looking only at the finish can be demoralizing, so to stay energized and optimistic, it can be important to set intermediate checkpoints during your run so you have little victories along the way. I get it, running is (or at least can be) boring. When you are bored, there are basically two options – lean into it and use the run as a moving meditation, or distract yourself from the boredom. The treadmill can be good practice for either approach. The motion of running is hypnotic, and since there are no traffic or safety concerns on the treadmill, you can totally zone out. Get lost in your thoughts, watch TV or Netflix, or listen to audiobooks. If you don’t get motion sickness, you can read actual, physical books. Only allowing yourself to watch the latest binge-worthy show when you are running on the treadmill can provide an amazing incentive to run and might (just might) make you look forward to your time on the treadmill. What about you? 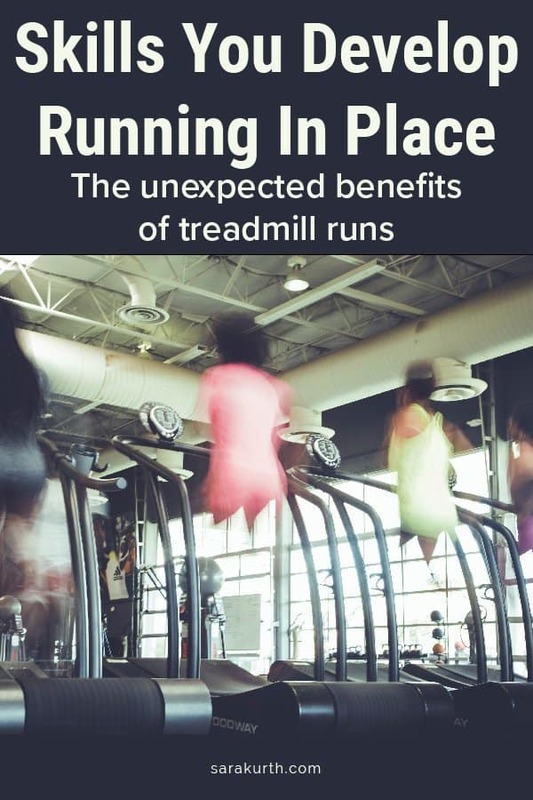 What do you think of treadmill runs?